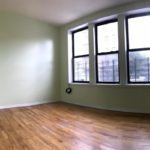 Beautiful large 1 bedroom apartment in a 4 unit building on a residential block in Prime Prospect Lefferts Gardens. The apartment is located on Midwood St. between New York Ave. and Nostrand Ave.
Steps to Prospect Park, food, shopping, Kings County Hospital Center and much more! Steps to the 2-5 Subway lines at Sterling St. station.